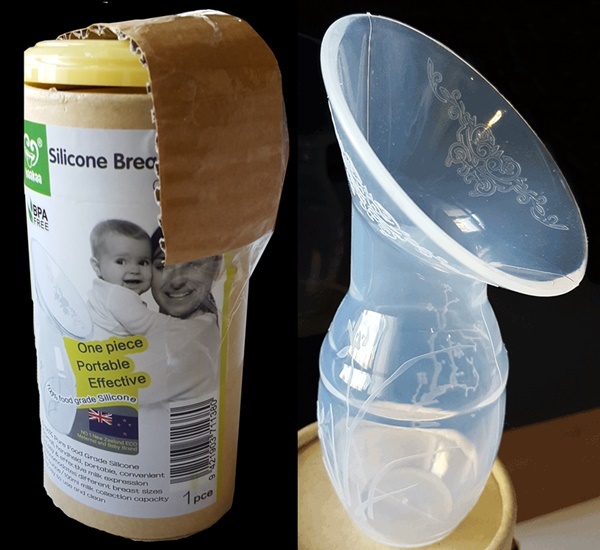 Not too long ago there is a rave about the Haakaa Silicone Breast Pump in the facebook group I have been following. Haakaa Silicone Breast Pump is a supposed to be a manual breast pump made from 100% medical grade silicone. All one need to do is simply suction it to the breast and the pump will be able to draw one’s breast milk using suction. It only have one part – the pump and the storage so it is easy to clean, and it can be sterilised with any steam sterilising system or boiling water. At the time when I decide to make the purchase, I was working in a project which I need to out stationed in the client site without a nursing room, but using freemie + my Spectra 9+ is too distracting for my colleagues who are sitting on the same table. I was then force to walk to the other building with a nursing room, but it means, 40mins or more is lost and I need to OT back these time. (Just to rant, I ever encountered 2 mummies who shared the nursing room while taking their lunch and pumping there for over 45 mins during lunch time. When they finally came out, they told me I should join their whatsapp chat to check on the availability of the nursing room. I rejected as I find them quite inconsiderate – there are visitors and others mummies not in the whatsapp group who need to nurse/pump but is unable to do so just because they hog the room and assume others will know someone is inside because there is a whatsapp group) So I thought the Haakaa pump might come in handy for me under my limitations – it’s quiet, and easy to use anytime, anywhere. After reading a few reviews, I proceed to make the affordable purchase of the NZD$27.90 pump, the purchase ended up as a transaction which cost NZD$54.90. NZD$39.90 is for the bundle of breast pump with the lid (which cost $14.99 if purchase separately, but can help to cover the pump and use for freezing) and NZD$15 for shipping from New Zealand to Singapore, but then, every breastfeeding mummy deserved some shopping therapy after endless sleep-deprived night to stay sane. Ehh. They don’t have proper package for the lid? But I really like the floral design on the pump. This morning, I read a new facebook post giving the review on the pump again. In order not to waste the money and suspecting I had previously used the wrong approach, I tried following the “instructions” commented by one of the mummies, and finally I got it correct this time! While feeding Miss Kpo on one side, I just suctioned the pump on the other side, fitting it need a bit of trial and error, but it’s not as difficult as I thought. I felt so happy when I get to see the little drip of breastmilk collected in the pump without any troublesome set up, noisy pump, or massaging and pressing of the breast, it’s such a brilliant invention! Note that the measuring marking on the pump is not very accurate, initially I was thinking ‘Not bad, for someone whose supply is almost stopping, still can get almost 50ml on one side while I am nursing LO on the other’, but when I poured out into the breast milk bottle, the reading is barely reaching the 40ml marking, this means that it’s off by almost 10-15ml? The highest marking on the breast pump is 100ml, but if this is the case, the final amount it can contain might be around 90ml? Not a problem for low supply mummy for me, but not too sure how useful it will be for those high supply mummy who can easily pump 150-200ml per side per session. 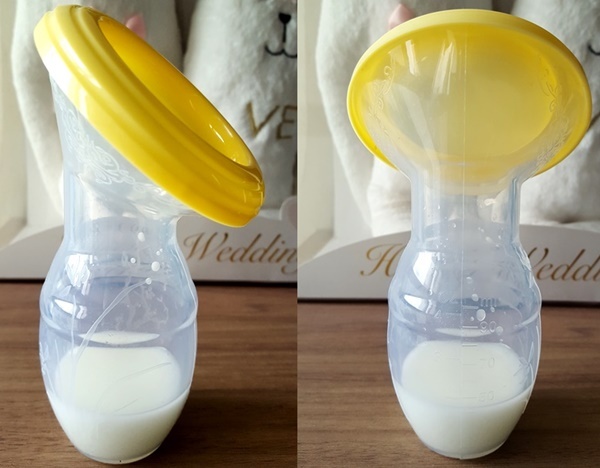 I personally find the pump not very effective on low supply mum like me who do not have much letdown, but it works well as a collection cup to collect the leaking liquid gold. It is also very light and compact to bring around, so in time of emergency, it will come to be handy. p/s: Before I make the purchase, I saw the pump selling in Taobao at a much cheaper price, as I am not only a Kpo Kia mama but also a Kiasi (means “afraid of death” in Hokkien) mama, I do not dare to buy anything that might be fake and risk the life of my baby. Apparently, someone checked with Haakaa Facebook page and confirmed that they are authenticated. If you are interested and do not want to spend too much in case it does not work well for you, you might like to get one from taobao instead from New Zealand authorized seller. But still, it’s up to you if you want to take the chance. HI there, it's been quite some time back then so I forgot what is the exact instruction. Basically what I did after that is to read the manual that comes with the pump in more detail, placed the pump on your breast and just press the protruding part gently once or twice to make the suction. Trial and error if it can't suction well. Do not press too hard till it indent inwards else it will make you feel very painful. Hope you can get it work soon! Ok! Thanks! I will go back and read the manual! Anyway, it should serve the purpose. Some mummies seem to be able to use it for milk expression alone but my personal experience works better while nursing on one side and letdown on other side.